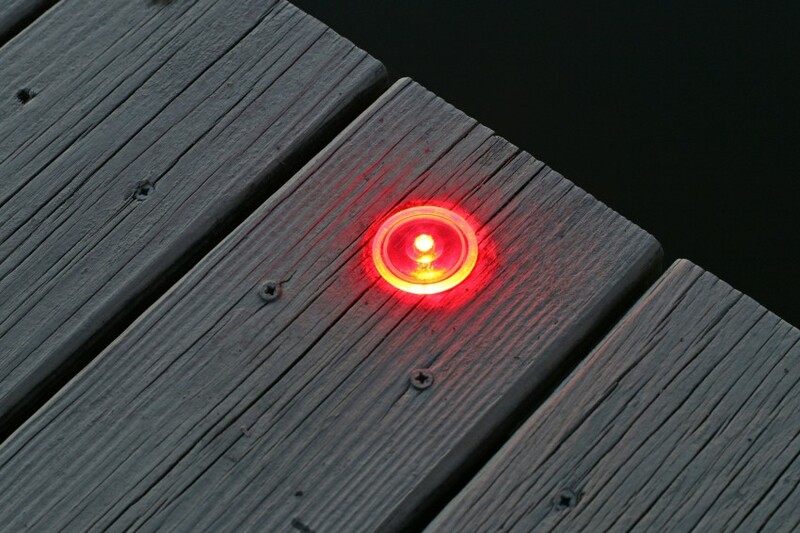 Solar deck dot lights - the smallest size light for decks and wooden stairs. 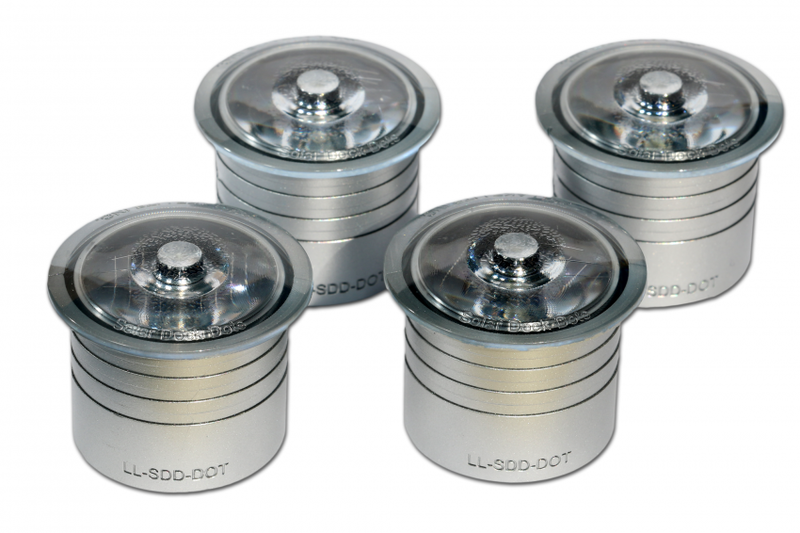 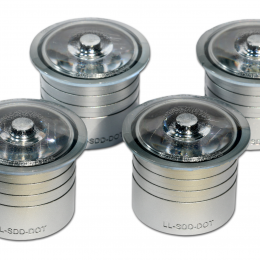 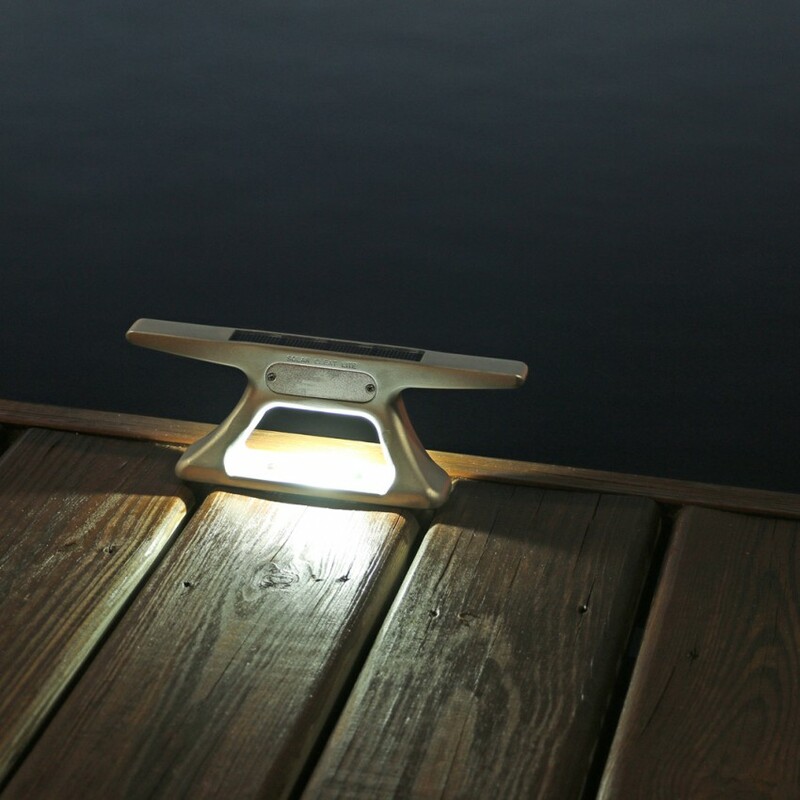 Solar Deck Dot Lights are the neatest, smallest solar lights you have ever seen! 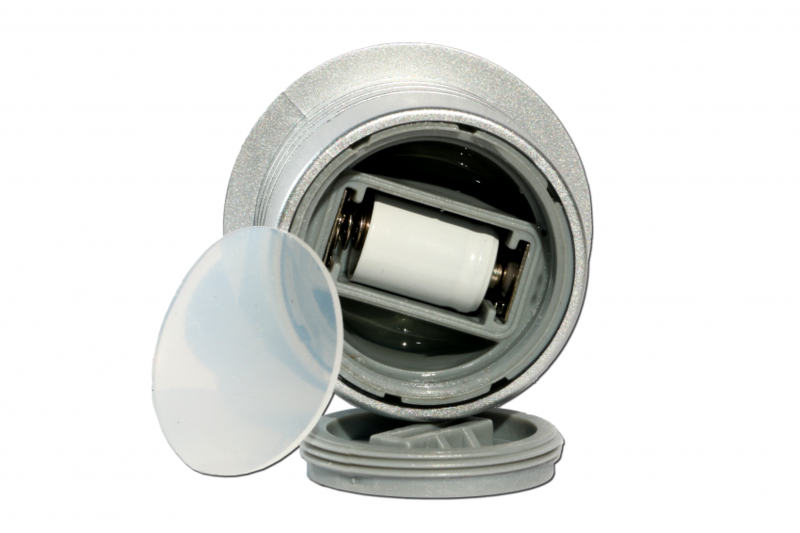 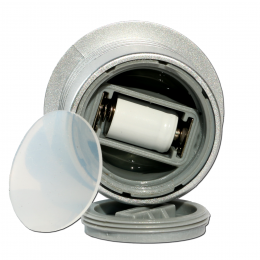 A nearly flush mount makes them virtually unnoticeable during the day and eliminates any tripping hazards. 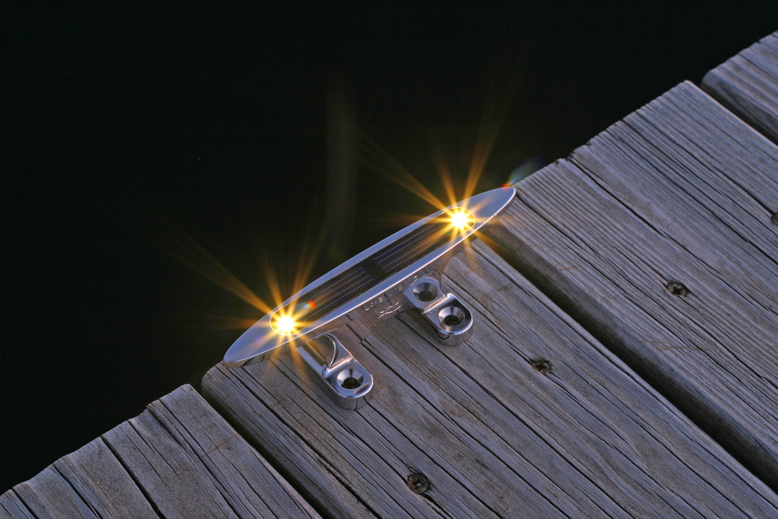 They are easy to install in minutes with a 1-3/8″ drill bit and are perfect for lighting stairs, railings, pilings, and patios. 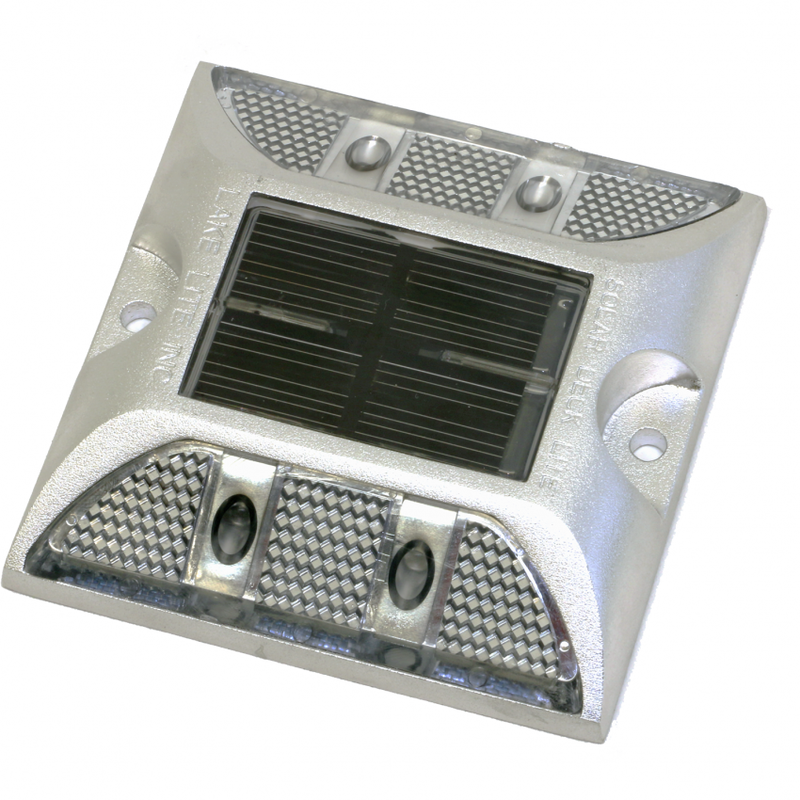 A super bright LED and powerful solar panel provide the mini lights with impressive illumination. 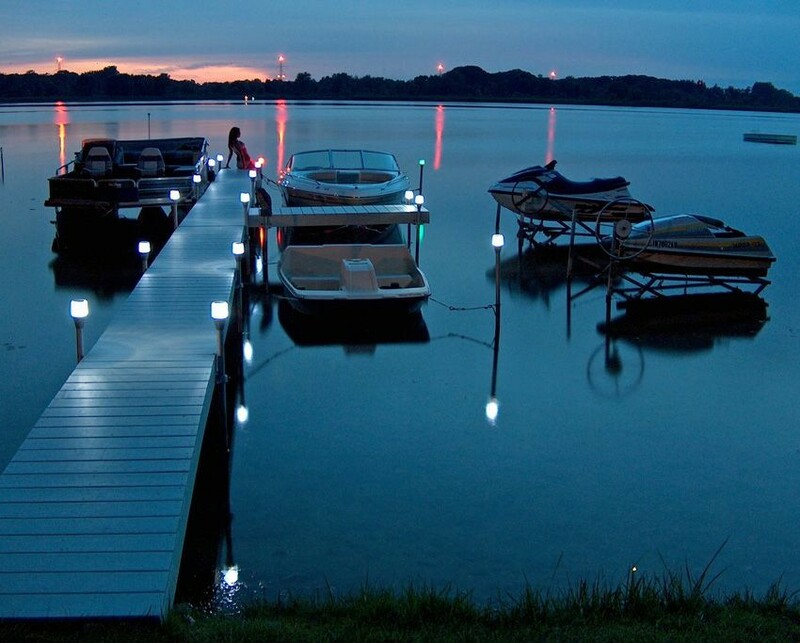 The lights are the easy, hassle free way to light up your dock or deck – no wires, no mess, no electrical cost! 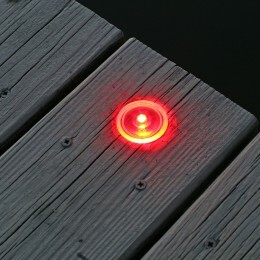 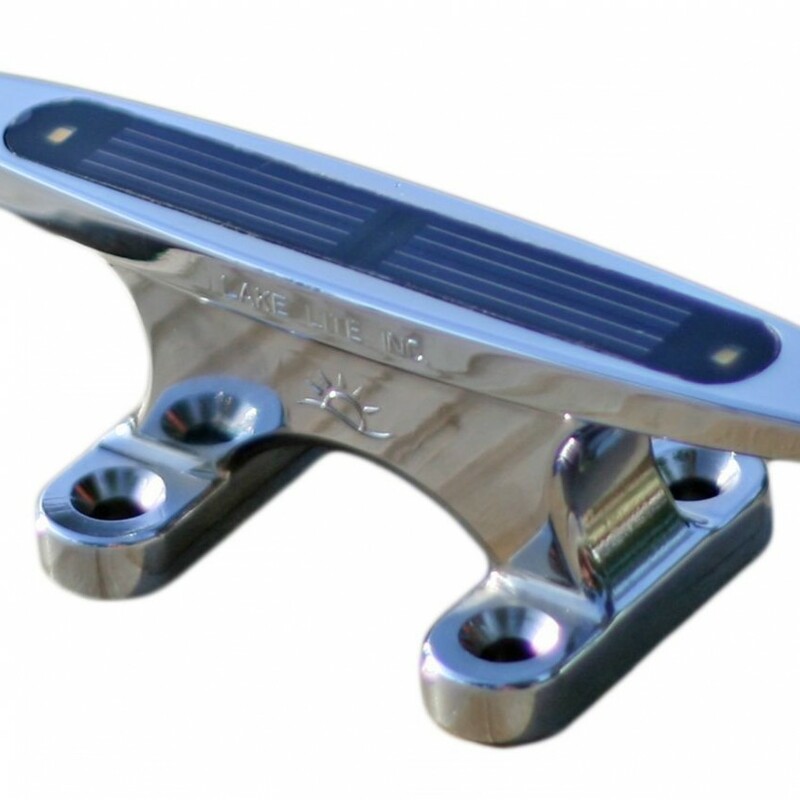 Solar Deck Dots are available in 5-Color options including: white, green, red, amber, and blue. 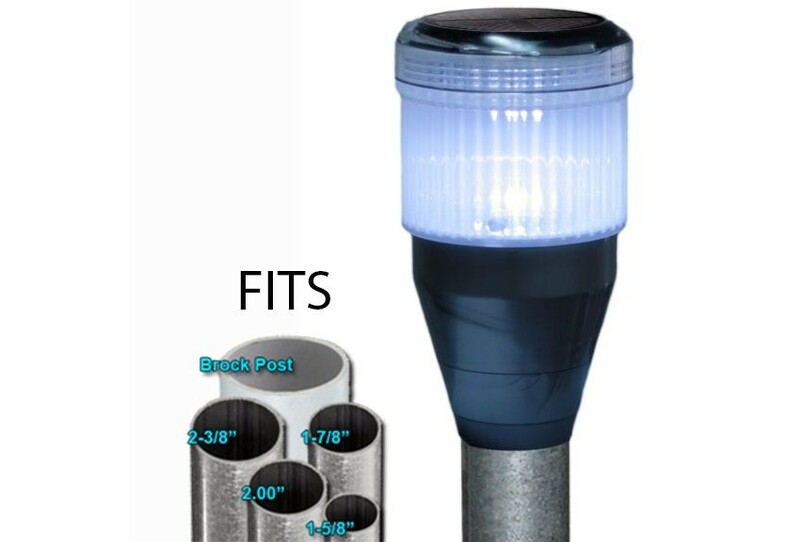 Sold in packages of 4. 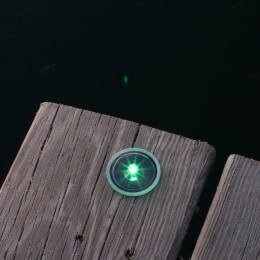 View the installation video for the Solar Dock Dots by clicking here. 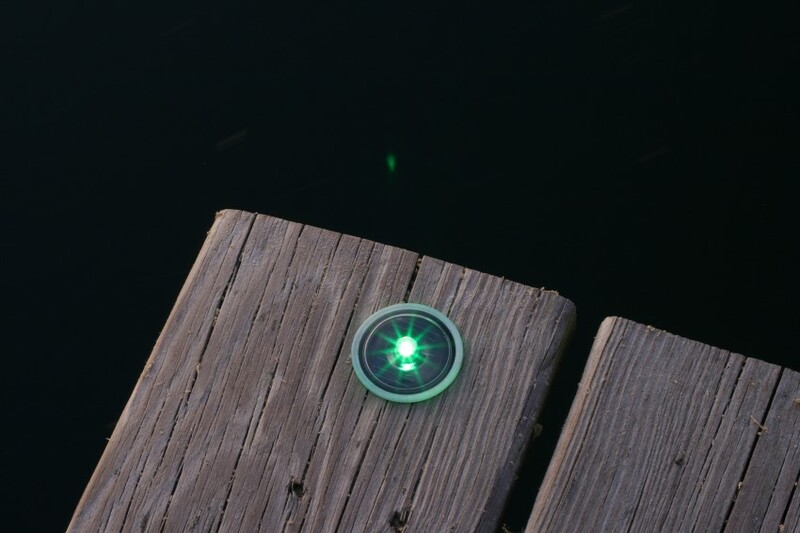 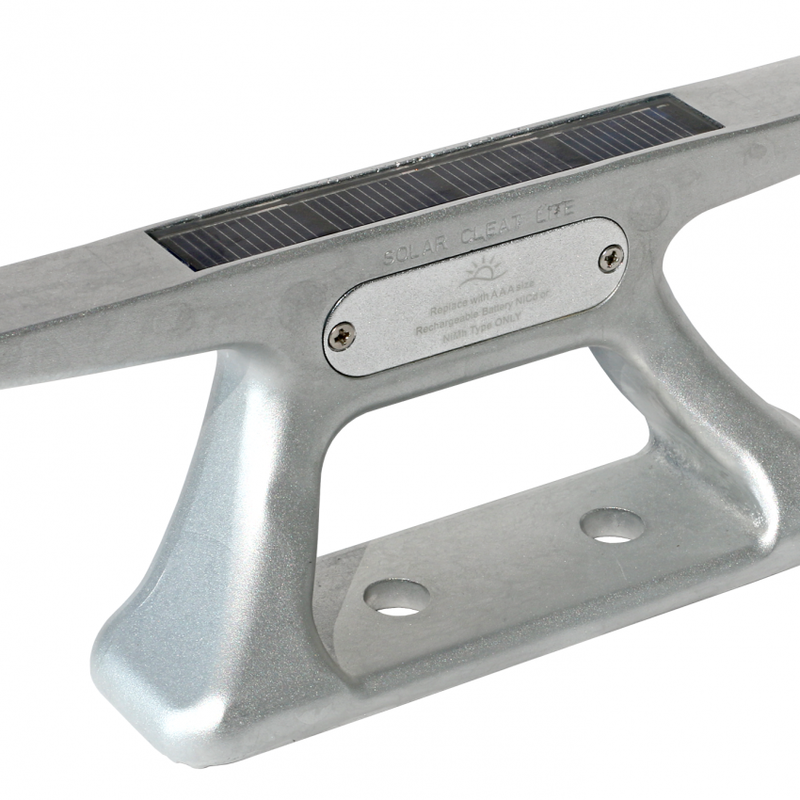 Warranty: Solar Dock Dots are guaranteed for one full year from date of purchase against defects in material or workmanship. 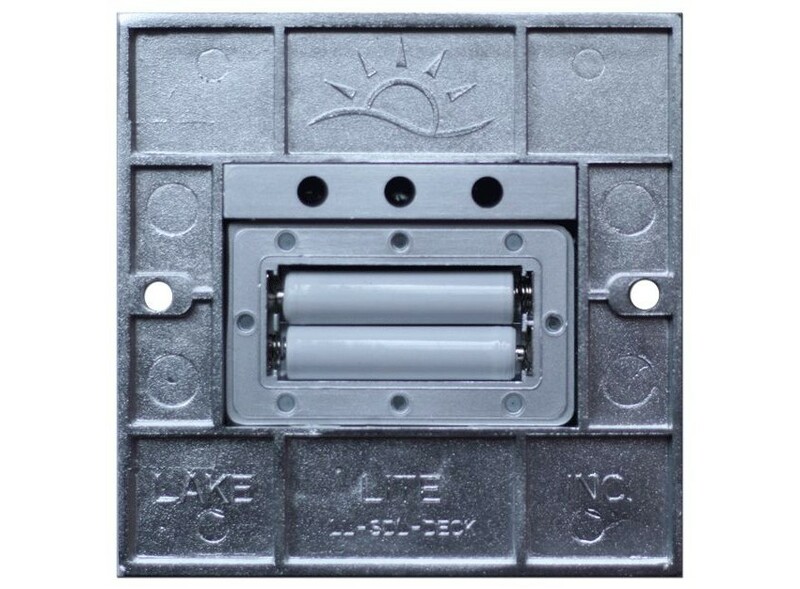 If a defect occurs, please contact Lake Lite, Inc. for repair or replacement.